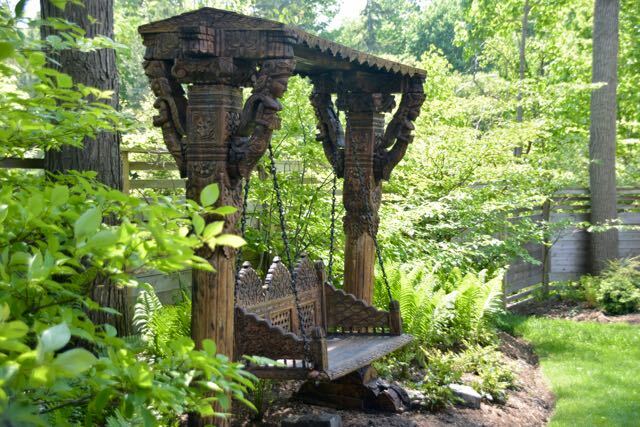 The first new thing about 2018 edition of the Toronto Botanical Garden’s annual tour of private gardens is the name – and the reason for it. It’s now a sponsored event under Mark Cullen’s Mark’s Choice brand. It’s now Mark’s Choice Through the Garden Gate. Two reasons. 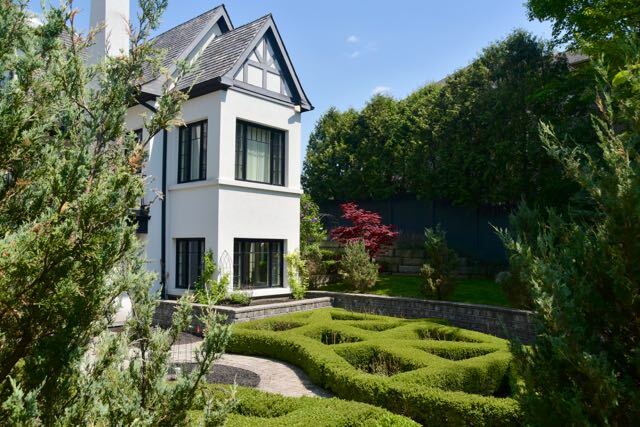 First, the Cullen’s have a long history with the Edwards of Edwards Gardens. In fact it was Mr. Edwards to convinced Mr. Cullen (senior) to become Weall and Cullen – a name that many Toronto gardeners know. 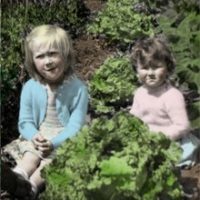 Now that the City has approved the effective merger of Edwards Gardens and the Toronto Botanical Garden into something bigger, better and more beautiful, that family connection makes even more sense. So for the second reason: as this tour is the TBG’s biggest fundraiser, a named sponsor is a step in that direction. Our attendance is needed, too. And here’s the thing that never changes. No matter what name the tour uses, you’ll always find inspiration on it. Here are some examples from last week’s press preview. Isn’t that the cutest tiny lawn you’ve ever seen? The second thing that’s new about the tour – but this is always new – is the location. This year, it’s in Windfields Estate, the area immediately north of the Toronto Botanical Garden with the TBG as tour headquarters. That means you get one of the city’s most spectacular public gardens as a bonus. Getting to nose around the private parts of grand gardens are a part of every Through the Garden Gate, and this is no exception. In addition to a taste of grandeur, you should also keep your eyes open for ideas you can bring home – like these two veggie gardening tips that anyone can use. 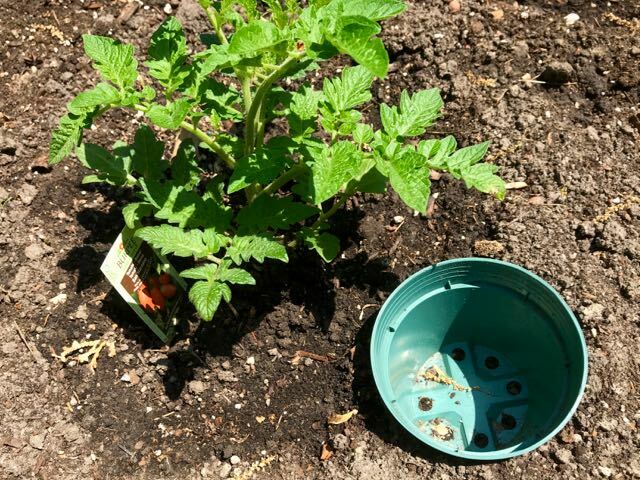 On the left below, a great way to water your tomatoes by sinking a pot into the soil as a slow-draining reservoir. 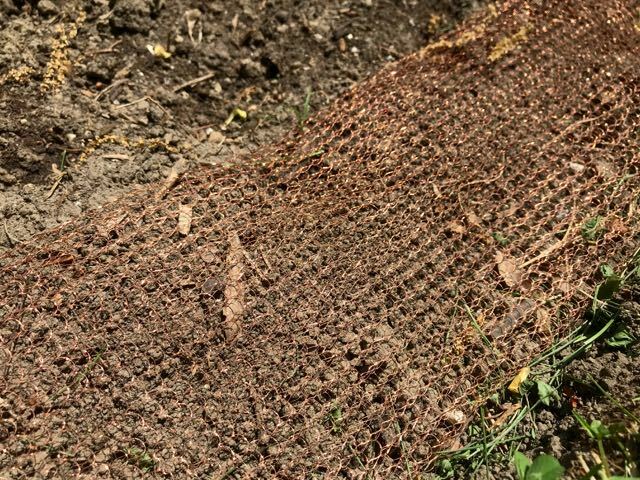 On the right, copper mesh to slow down your avid slug and snail population – or at least deter them from stampeding toward your seedlings. Notice how the addition of a personal touch can really enhance a garden space. It can be big and exotic like the Indian jhula swing above. 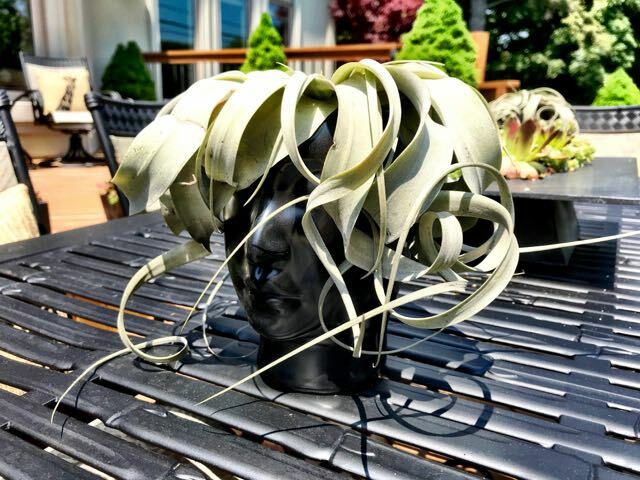 But it can also be cute, quirky and relatively inexpensive, like the air plant hair in the small head vase below. 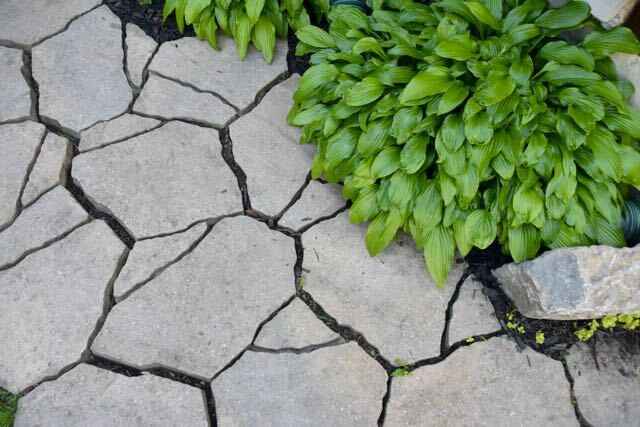 Or come back with ideas for hardscaping. The example on the left is just a standard jigsaw type concrete paver made to look like more random crazy paving. 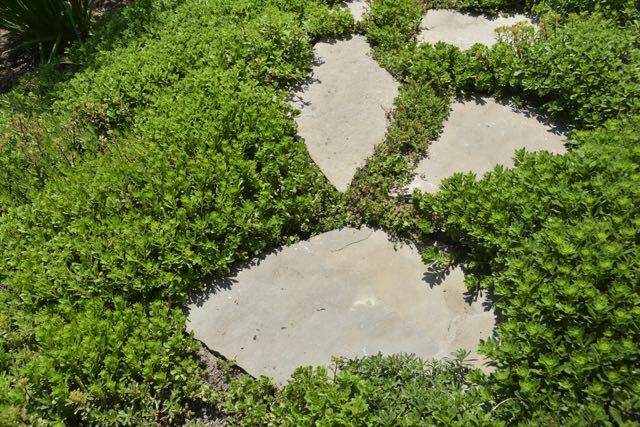 On the right, a great idea for a sunny walkway – edged in a tapestry of sedums. 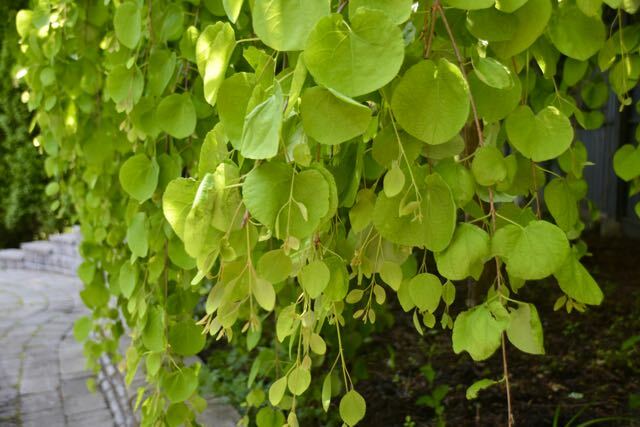 With Master Gardeners in every garden, you’ll have someone to ask, “What is that weeping tree?” And they’ll be able to tell you it’s a weeping katsura (Cercidiphyllum), and whether you can grow it. Do ask them – they’re dying to talk about plants. I speak from experience. Tickets are available now through the link in the first paragraph. I always recommend the two-day pass. It’s hard to do justice to 19 gardens in a single go.